[S1181] Unknown author, Franklin County Heritage N.C., pg 298. She was the daughter of Peter Tharrington and Bettie Mary Elizabeth Ayscue. 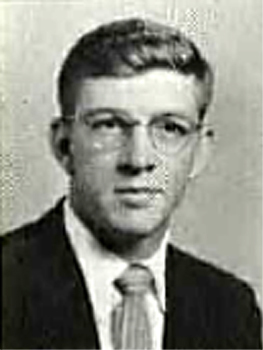 He was the son of William Henderson Tharrington and Ann L. Falkner. Birth*: Virginia "Jinny" Tharrington was born circa 1859 at Franklin Co., NC. She was the daughter of William Henderson Tharrington and Ann L. Falkner. [S11] Franklin Co., N.C. 1870 Census, pg 630. He was the son of Rickman Tharrington and Gillius Tharrington. [S362] Dr. Stephen E. Jr. Bradley, Franklin Co., N.C. Marriage Bonds 1779-1868, pg 55. Birth*: Stephen Thatcher was born circa 1760. [S196] William Wade Hindshaw, Encyclopedia of American Quaker Genealogy, Vol VI, page 387. [S522] The Daily Dispatch, 20 Dec 2009. Birth*: Susan Thomasson was born circa 1824. [S1768] Letter, unknown author to unknown recipient.